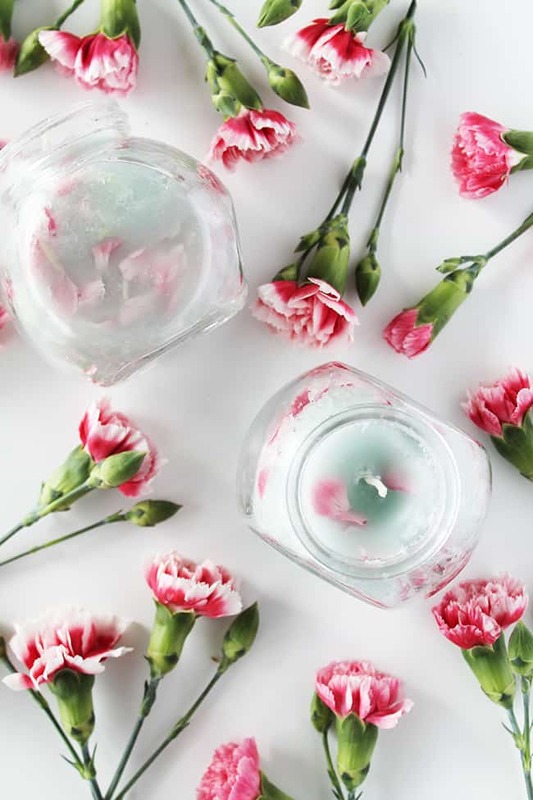 Now that it’s (finally) spring, we can enjoy anything and everything floral—including these super easy (and super pretty) DIY floral candles, made by recycling old candles and flower petals. What a perfect Mother’s Day gift…to give or receive. We’ve already shown you how to make candles using eggshells, pumpkins, ice cubes, paint cans and canning jars. 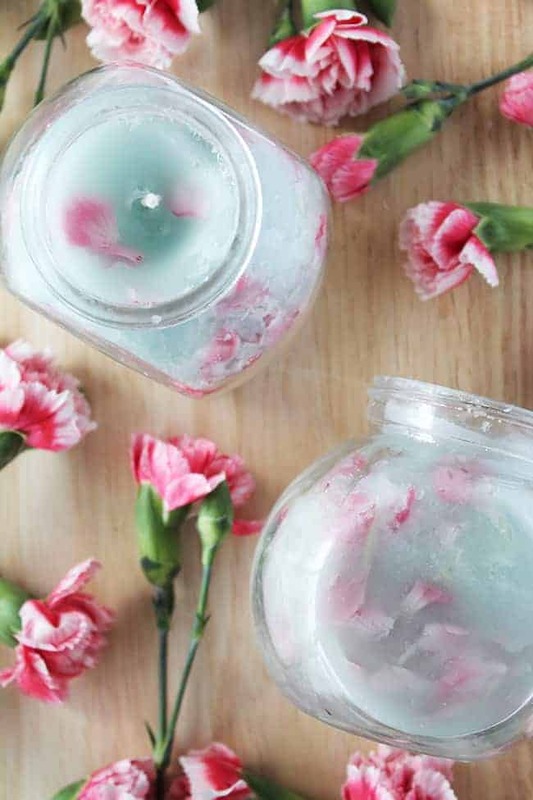 These floral candles are a great way to use up candle leftovers, miscellaneous glass jars, or flowers that you just can’t part with. Get the full DIY at Natural Vitality’s Organic Connections magazine and learn how to make one for mom—and/or yourself. (We also did a DIY sweat-stain remover in partnership with them recently.) Happy candle-making! What an amazing idea. Thanks so much. These look very pretty. I think I´d keep them to myself.